We made it! We're in! 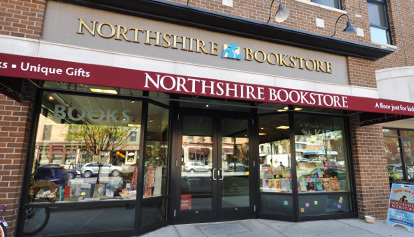 Saratoga is now the second home to Northshire Bookstore. 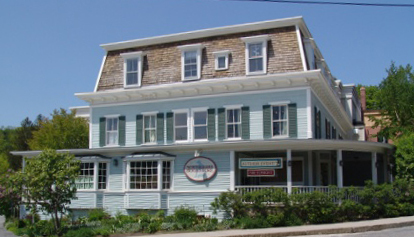 We're thrilled to be part of this wonderful, welcoming community and we look forward to getting to know our fellow booklovers there, and discovering the particular passions of our new, dynamic and diverse staff members in Saratoga. On Sunday, September 29th from noon to 5 p.m., we will host a community-wide celebration, with entertainment, refreshments and fun. We hope to see you all - from both sides of the border - there to help officially inaugurate the new store. Bonnie Naumann from our new Saratoga store is all ready to share her dark favorites. Will she be the Saratoga staffer we can count on for the latest from the heart of darkness? Buried Memories by Katie Beers. If you read A Child Called It or Speak and were looking for another chilling tale of trauma, read Katie's story of childhood abuse and kidnapping. One of my self-proclaimed "dark" high school students recommended it too. The Girl In The Leaves by Robert Scott. Follow the trail as four Ohio teens go missing in the fall of 2010 at the hands of Matthew Hoffman. One of his victims, Sarah, was discovered alive in a pile of leaves in Hoffman's home. They Poured Fire On Us From the Sky by Benjamin Ajak, Benson Deng and Alephonsian Deng. Three lost boys, child survivors of the Sudanese conflict, describe their trek across 1,000 miles of war-torn country rife with land mines, crocodiles, starvation, predatory animals and extreme conditions.